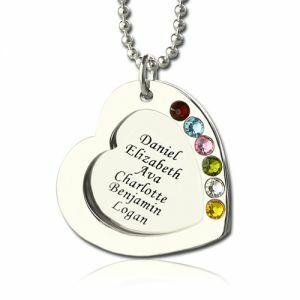 Top Mothers Day Gifts - Heart Family Necklace With Birthstone Silver - A mother always holds her children close to her heart, each one a cherished member of the family. 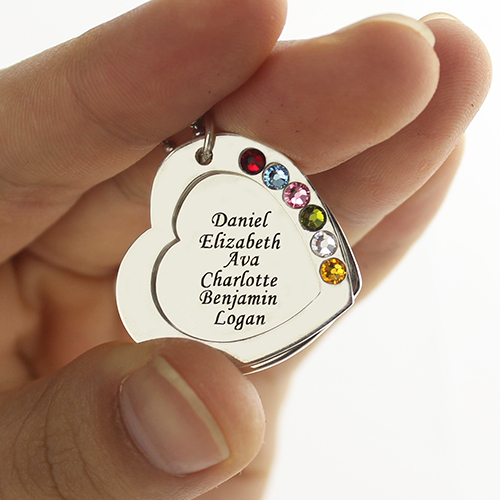 Now, especially created for a loving mother, this personalized pendant captures that devotion in a beautiful expression. 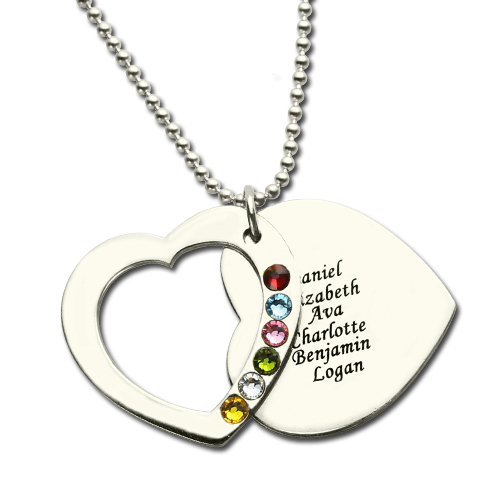 The A Mother Holds Her Child's Heart Personalized Heart Necklace makes a perfect tribute to a mother and her children. 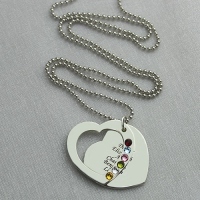 Because it is customized with up to 6 children's engraved names and their floating heart-shaped crystal birthstones!